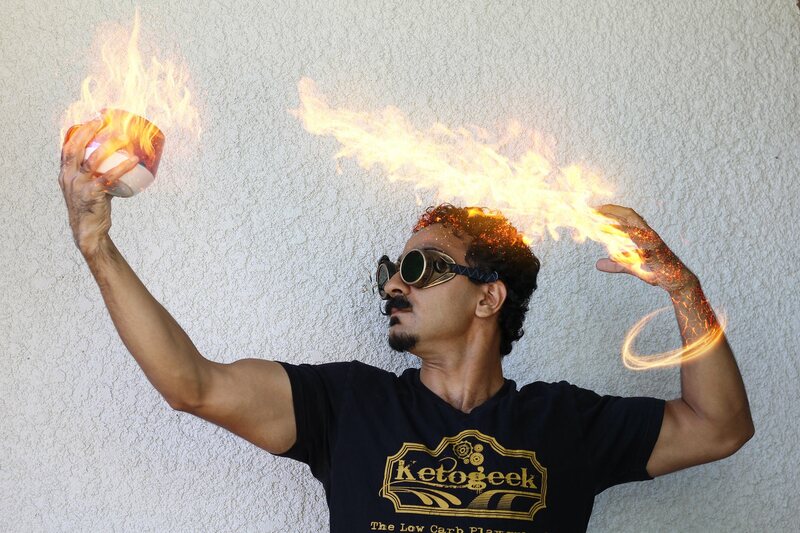 Fahad Ahmad is a serial entrepreneur and founder of KetoGeek: Energy Pods and science-based information on health, food and nutrition. Check out the KetoGeek Podcast, Blog, and YouTube Channel. How KetoGeek developed their Energy Pods. QUESTION(S) OF THE DAY: How do you deal with information overwhelm? Let me know in the comments below. Got it. He used to follow a ketogenic diet. And the Energy Pod is certainly a ketogenic diet product, but I suppose he’s probably higher protein these days with the increased animal protein. I suppose he still consumes a lot of fat, but perhaps his macros aren’t quite the same as a standard ketogenic diet though. I respect him for keeping an open mind. Interesting interview Lawrence. I’m running behind, ha ha but had downloaded and listened to this yesterday. It sounds like you’ve come to a Crossroad in where you want to go with the podcast. It’s funny i was going to recommend a site where it’s all HIT trainers for sports. But in some ways other than there back stories which would be all unique. The reality is, it would be in some ways like interviewing Mark Asanovich over and over as far as training recommendations. If you are looking for a different direction, your site is called Corporate Warrior. That leaves a lot of people from all walks of life to interview. From success in Corporate fields, the idea of a Warrior and what that entails opens up a wide field including all their fitness and health practices even if it isn’t HIT. Because honestly, just like you two discussed how people can be limiting about Vegan Vs you name it. Sometimes it’s similar with the HIT vs every other training methodology. Or even their own. For example i remember seeing a article years ago by Dr Ken Leistner which he commented on, (and i can’t remember at this time whether it was him training the Football player or another well known HIT coach that worked with Arthur Jones) but this Coach took a famous Football player of the time through a brutal HIT recommended training program of the time in front of all these football coaches. From Dr Ken’s description everybody was amazed. But at the end another so called HIT coach stood up and said in front of everybody ” That they hadn’t seen one properly performed repetition”. Sigh. Thank you James. I really appreciate your feedback. Having flip flopped multiple times throughout my podcasting journey from “general productivity” to “HIT and HIT Business”, I’ve decided to focus on “HIT and HIT Business”. This still gives me freedom to cover all things nutrition, health, and exercise related under the HIT banner and all things business, marketing, productivity under the HIT Business banner. This focus means that will be creating more master classes within the HIT theme like how to start a mobile HIT business (https://highintensitybusiness.com/productivity/craig-hubert/) , start a HIT facility from scratch (https://highintensitybusiness.com/productivity/jay-vincent-how-to-build-a-hit-business/), and on the non-business HIT side produce entire episodes that unpack “frequency”, “recovery”, “exercise selection”, “neck training”, etc. This direction has mostly been inspired by the Law of Category and dominating blue oceans. I have the most popular podcast in HIT, and so I want to create as much value in this category as possible because I believe that is how I bring the most value to my audience and grow my audience. When I explored other topics about general productivity, I noticed the episodes were less successful and I believe this is because there are already so many productivity podcasts that focus on this topic entirely. I don’t feel like Fahad has a coherent direction or presence tbh, I wasn’t really convinced that he had any real clue what he was talking about. Also, I’m not sure that he knows what a paradox is.